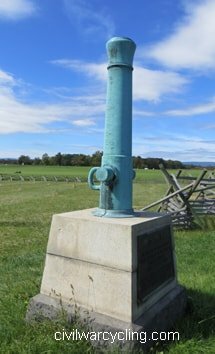 Vertically mounted bronze and iron cannon barrels mark the location of army corps at the Battle of Gettysburg. 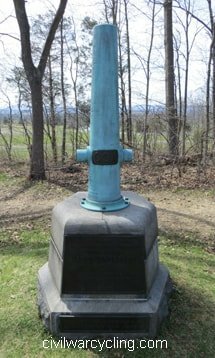 The Army of the Potomac (USA) has ten Gettysburg corps headquarters monuments, and the Army of Northern Virginia (CSA) has four. 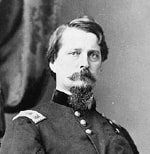 All fourteen were designed by E.B. 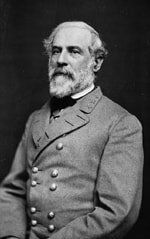 Cope. 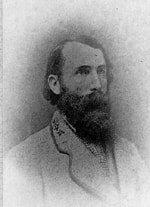 Hover over the image to read the caption (or on a mobile device, lightly touch and hold the image). 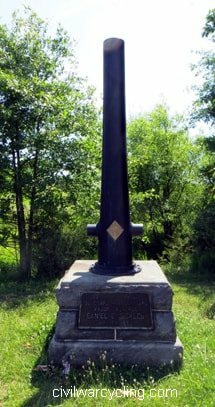 As you tour the battlefield, look for circle, trefoil, diamond, maltese cross, simple cross, crescent moon, and star symbols on the Union monuments. 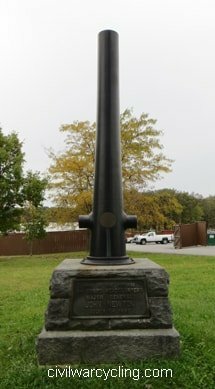 You will see these symbols on the Gettysburg corps headquarters monuments, too. 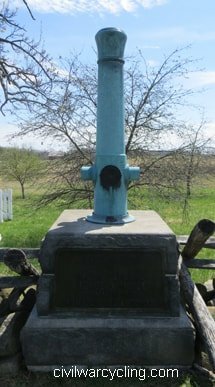 The symbols identify the corps of the Army of the Potomac. 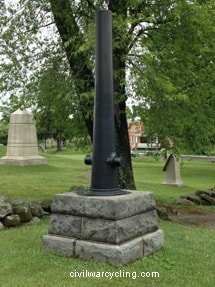 Civil War Cycling’s article, “Monument Shapes and Symbols — A Key” explains the symbolism and provides many photographic examples of Gettysburg monuments that have these symbols. 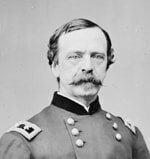 Portrait images are from the Library of Congress. 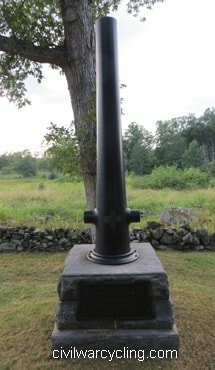 Steve Hawks’ Stone Sentinels web site offers nicely formatted Orders of Battle. 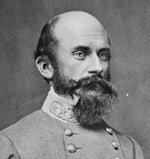 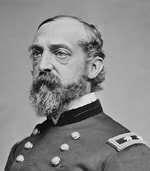 For the Battle of Gettysburg, see the Army of the Potomac (Maj. Gen. George G. Meade) and the Army of Northern Virginia (Gen. Robert E. Lee). 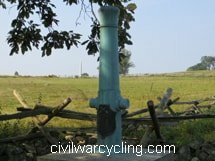 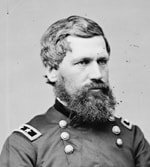 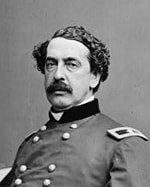 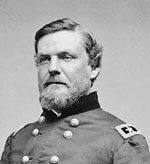 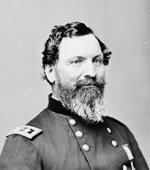 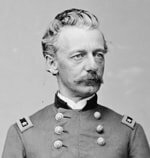 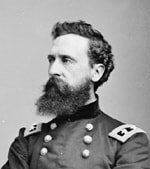 Also, the Civil War Cycling website offers interactive flashcards for learning Gettysburg’s Order of Battle (to the brigade-level) that I hope you enjoy.